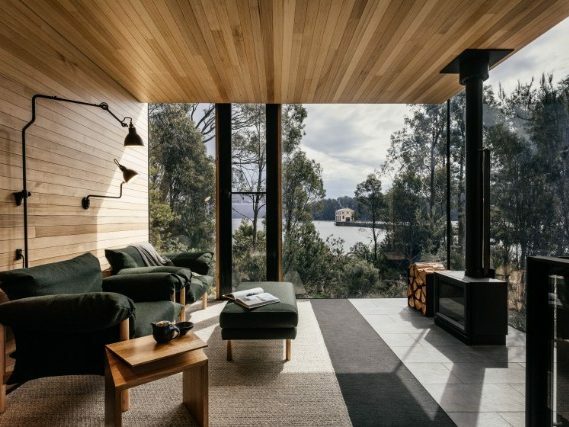 JAWS Interiors collaborated with JAWS Architects to design and construct an exclusive Retreat for Pumphouse Point on the edge of Lake St Clair. 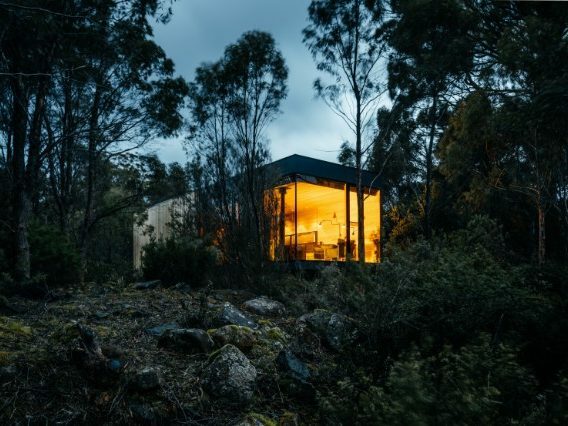 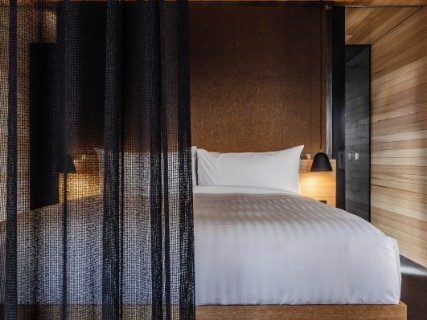 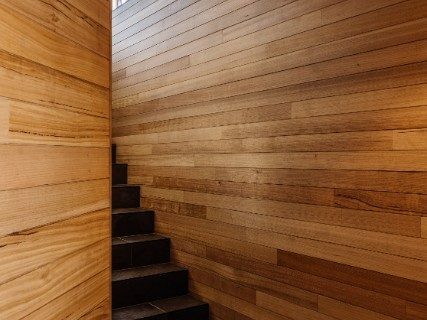 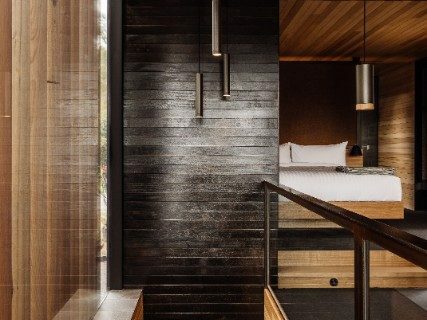 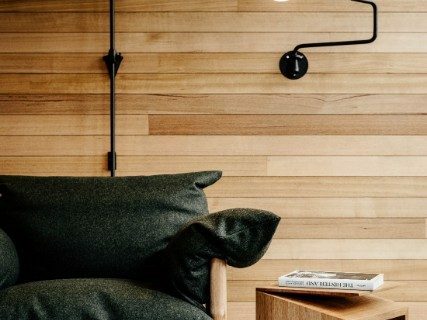 The design is uniquely and quintessentially Tasmanian, showcasing and celebrating the site’s surroundings through materiality, Tasmanian product design and Tasmanian artisans. 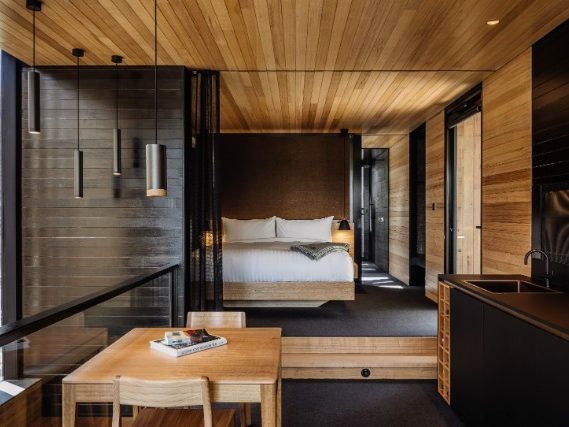 Removing design from current trends, the fit-out draws on textures and tones found within its context to influence the language for materiality, drapery, details in joinery, fittings, and soft furnishings. 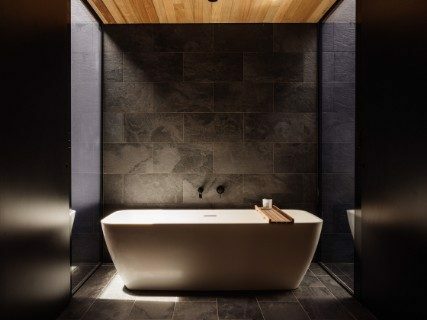 These elements combine to be a richly layered and local palette that creates a luxurious interior vision – a purely unique fit-out that represents its place in time, exemplifying contemporary design. 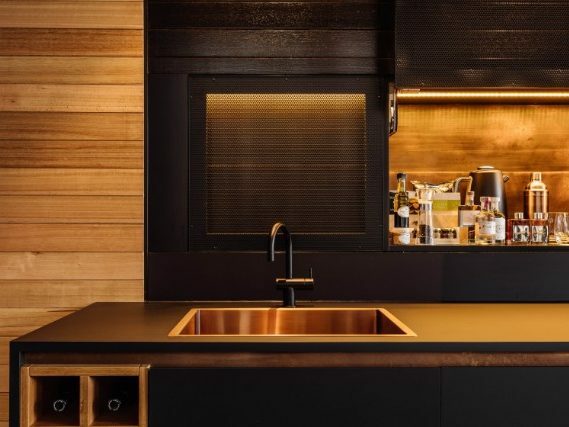 The project budget was generous enough to facilitate the bespoke and unique finishes, but was delivered within a tight time-frame. 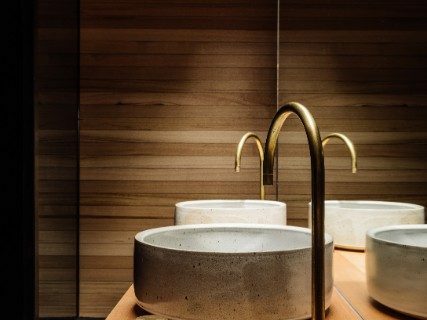 Features include Tasmanian Oak furniture by Simon Ancher, stunning handmade ceramic basins by Lindsey Wherrett and local furnishings.